<firstimage=”//static.makeuseof.com/wp-content/uploads/2011/07/AvoidMalware02.png”> The Internet has made a lot possible. Accessing information and communicating with people from far away has become a breeze. At the same time, however, our curiosity can quickly lead us down dark virtual alleys that may not seem dark at all. In fact, the biggest security risk always is the user! 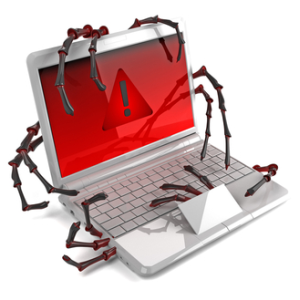 Catching malware is easy, but generally it can also be avoided easily. All it takes is a little common sense. This should be obvious, but it cannot be stressed enough. You should not visit dubious websites or download questionable or illegal files. This is almost a sure way to catch malware. If you are not able to avoid these websites, make sure your system is thoroughly protected. If you need help evaluating links for their safety, you can use a browser plugin called Web of Trust (WOT). A common way how malware is distributed is through email. In fact, malicious emails can contract malware by automatically running scripts when you open an email in HTML view. That’s why most email clients and webmail clients per default do not display HTML content (such as pictures). Leave it that way and only allow trusted sources to automatically display HTML content. Do not open attachments unless you trust the source or without scanning them. Most webmail clients will scan attachments before allowing you to open them. Also most desktop email clients provide malware scanning to protect you from malicious attachments. Never skip this step! 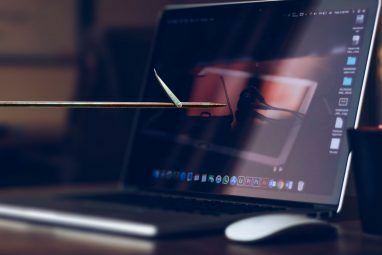 For more details about the danger of malware spreaded through email, check out this article: 3 Top Ways People Get Infected by An Email Virus [In Case You Were Wondering] 3 Top Ways People Get Infected by An Email Virus 3 Top Ways People Get Infected by An Email Virus Read More . Scams and phishing attacks can hide behind Facebook notifications or an email from your bank. Only that Facebook or your bank never actually sent these emails, they are fake. When you follow the link and enter requested details, the scammers successfully ‘phished’ your password or personal information. Of course Facebook does sent out legitimate notifications and your bank may contact your through email, too. So when in doubt, always double-check where those links really take you to. Hover over the link in your email and check the underlying URL or (if need be) check for the URL in your browser URL bar. Also check out this article: Top 5 Internet Fraud & Scams Of All Time Top 5 Internet Fraud & Scams Of All Time Top 5 Internet Fraud & Scams Of All Time Read More . They come in all forms and shapes. I will give you some examples below, but generally let me say that you should never install anti-virus or anti-spyware or anti-malware software from untrusted sources! If you are unsure what to get, you can consult the MakeUseOf Best Of Windows or Linux Software pages. So how do scammers scare people? Usually, when you visit a website, a pop up warns you that your computer virus definitions are outdated or that your computer is infected and that you should install a tool to scan your computer and remove the malware. Don’t let such warnings scare you, they are fake! Lately, scammers also started calling people at their home to tell them that their computer is infected, asking them to turn on their computer, visit a website, and install a software to fix the issue. If this happens to you, simply hang up, it’s fake, too. If you connect an external drive, for example a USB stick from a friend to your computer, be sure to let your anti-virus software scan it. Your friend may not know that they are contracting malware. If you have anti-malware or anti-virus software installed on your computer, you can typically scan the drive by going to > (My) Computer, then right-click on the external drive and select the respective option from the right-click menu, for example > Scan selected files with AntiVir. Often, a software installer includes optional installs, such as a toolbar or additional programs. Be very careful what you agree to install. Always opt for the custom installation and deselect anything that is not familiar, especially optional software that you never wanted to download and install in the first place. It goes without saying that you should not install software that you don’t trust. Other than not going online, what tips and tricks did I forget? 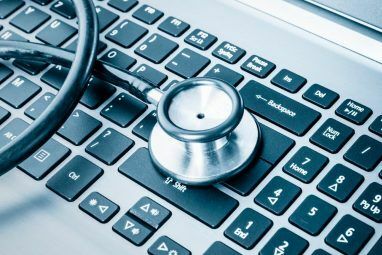 How do you protect your computer and your data from infections? Explore more about: Anti-Malware, Phishing, Scanner, Trojan Horse. Very thorough and well thought out article. I believe that readers of this article may find many other useful information concerning data security here, http://www.brightsecurityideas.com. 8. Before downloading that file, use VTZilla/VTChromizer/VTExplorer to scan both it and the site itself. 9. Before installing that anti-malware program, make sure that it isn't malware. There are good selections at ninite.com and CNet. #5. You mention again Microsoft Security Essentials. As I have said before, that download is worthless, does nothing but scan your computer and suggest THIRD PARTY DOWNLOADS to fix the problems. MSE Cannot and will not fix any problems on your computer. I have tried it on my computer and my wife's computer. Both times, it will scan the computer and show a listing of up to 20 different programs by OTHER COMPANIES! This list ALWAYS includes several MALWARE programs as well. detect butalso remove the malware. Very effective too. IIRC, the MSE "scanner" suggests about 20 or so AntiVirus solutions (including MSE) on those computers it detects that DO NOT have a resident (real time) AntiVirus installed. Apparently you do not have (or MSE is UNABLE to detect) an AV on yours & your wife's machine. MSE is a fine AV, especially for those who prefer a "set it and forget it" type AV. Personally, I don't like MSE because users cannot turn off auto-updates (I prefer manually updating) plus it creates too many restore points (also cannot turn this function off). I prefer and use Avast free for all my machines. I have never seen the behavior you describe for MSE. So as Aibek suggests, I think you may have fallen prey to a fake software download, disguising as MSE. Catching malware is easy, but generally it can also be avoided easily. All it takes is a little common sense....7 nice tips to avoid it are very well explained in your post! its really helpful.. I subscribe to Krebs' rule #1: If you didn't go looking for it, DON'T install it. All of these are good tips, but you skipped what should be the top two (although the order of these two are constantly debated). 1. Keep your operating system fully patched. It is always better to close any holes before security vulnerabilities can be leveraged against you. 2. Always run antivirus software and keep it updated. This should even be done by those folks to claim that MacOS and Linux systems don't get viruses. 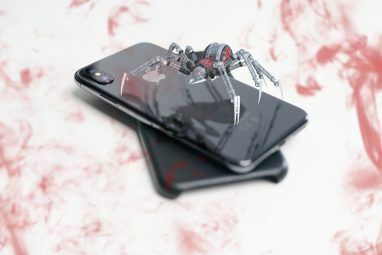 Even if they are not affected by the vast majority of malware on the web, they can still be used to pass the crap to machines that can be infected. you're totally right, thanks for adding these two! Other than 'Web of Trust', you can also use Browser Protect or BitDefender Traffic Light for an extra layer of protection at the browser level. You can back this up with KeyScrambler Personal, a freeware to obfuscate your key strokes. Lastly, there's Sandboxie for untested apps or downloads. The problem with Sandboxie (at least the last version I saw) is that it only works with 32-bit operating systems and will not install properly on Vista or Win7 unless the user turns off the requirement for signed drivers (which lowers the security posture of the machine). So, unless the user is using 32-bit XP, it is next to useless. A better option would be using a virtual machine that does not utilize guest extensions as a type of sandbox. A clean VM can be created and a snapshot made. If the VM becomes corrupted/infected, you can simply revert to the clean snapshot and continue as if nothing adverse happened at all. FYI, turning off 'signed drivers' only does so for that session; as soon as you reboot, it is turned back on. Thanks for recommending KeyScrambler Personal, I didn't know about it. Sandboxie also is a great tool.